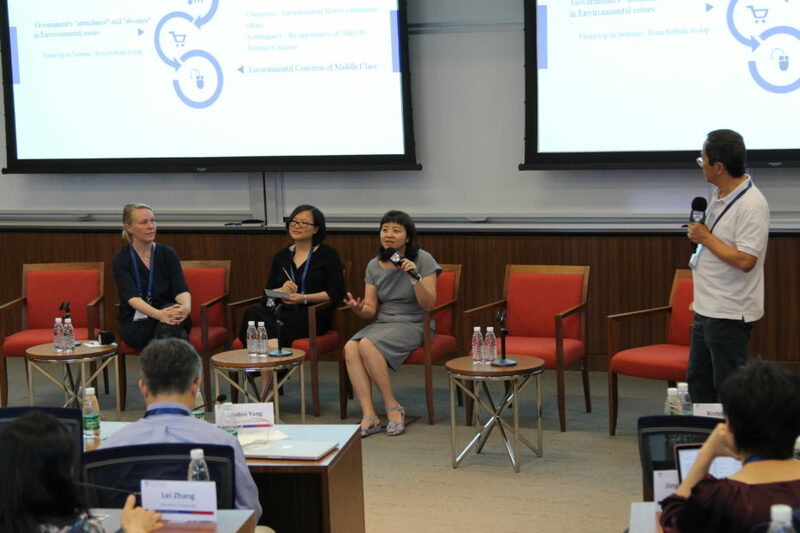 This summer, Penn Wharton China Center hosted a flurry of research workshops and symposia, providing new insights and updates on research made possible by the Penn China Research and Engagement Fund (CREF). Launched in March 2015, the Fund is a five-year, $10 million competitive matching program designed to stimulate and support activity in China and engagement with PWCC. To date, CREF has supported 30 projects at a funding level of approximately $6 million. With $3 million from the Office of the Provost and $3 million matched by Penn Schools and Centers and external sources. The Fund supports outstanding research projects that involve faculty representing all of Penn’s 12 schools, creating substantial contributions to their field. Over the life of the awarded projects, Penn faculty will engage with more than 55 unique Chinese institutional partners, and over 15 organizations from around the globe. Managed by Penn Global on behalf of the Office of the Provost, the Fund supports interdisciplinary projects that touch on four main overarching themes: health and health care; economics, business, innovation, and technology; urban development; and media, culture, and humanities. This summer, the Center hosted six workshops and symposia focused on CREF research that spanned a number of these areas, with renowned Penn and Wharton faculty sharing new insights and updates about their academic pursuits. On June 5–6, Yin Ling Irene Wong, Associate Professor of Psychology and Psychiatry from the School of Policy and Practice (SP2), presented at a mental health seminar and workshop. 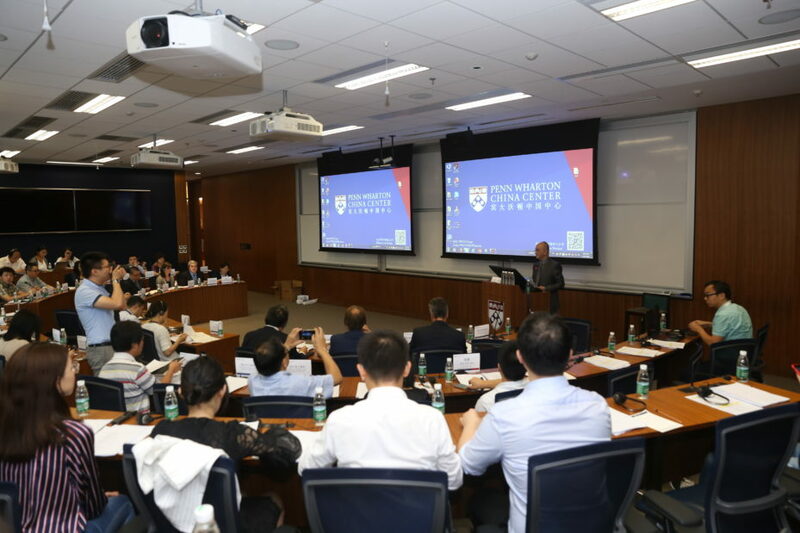 With 80 people in attendance, Wong’s event discussed a mental health research project that’s been collaborated between SP2, the Annenberg Public Policy Center, the Department of Psychiatry, and Chinese partners at the University of Hong Kong. Building on the expertise of a multi-disciplinary team of researchers from the fields of health communication, psychiatry, social administration and social work, the goal is to design, evaluate, and disseminate a family-based health messaging intervention to reduce stigma of mental illness among the general public in rural China. The workshop was an opportunity to network amongst mental health frontline workers, academic institutions and the Penn community. On June 28, Liu Renyu, Associate Professor of Anesthesiology and Critical Care at the Hospital of the University of Pennsylvania and Co-Director of Penn-China Anesthesia Partnership Program, presented a Stroke Therapeutic Window (Stroke 1-2-0) workshop. About 60 medical scholars and stroke control practitioners attended this two-hour symposium and campaign to promote this rapid stroke recognition and response program. 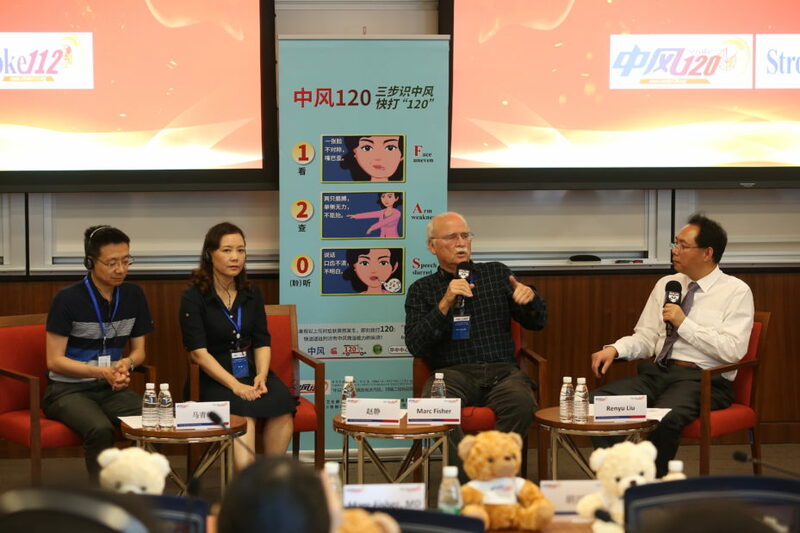 Coordinating with Jing Zhao from Fudan University, the researchers have started a national campaign to raise stroke awareness in China through the China Stroke Association. They will measure the effectiveness of this promotion and overall outcome of stroke patients. It’s expected that the approach with help to reduce prehospital delay and decrease mortality rates due to stroke. 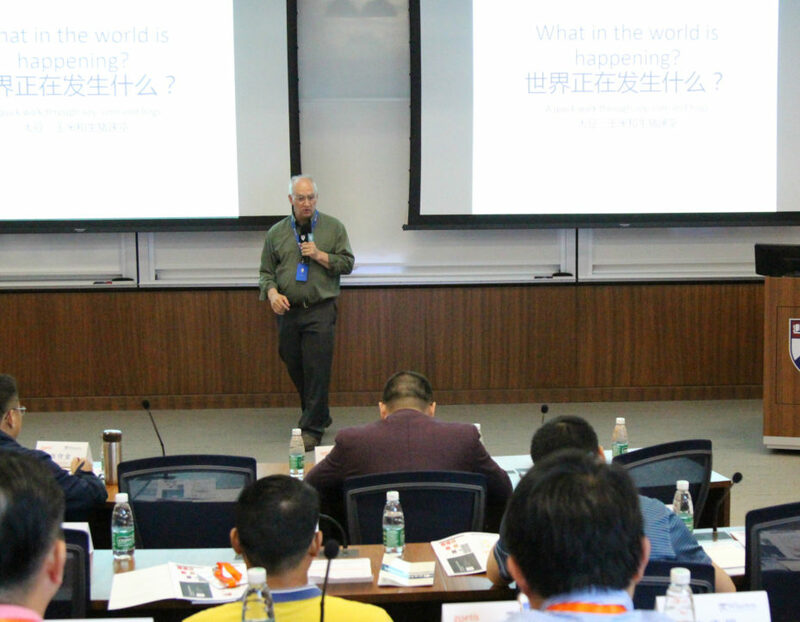 Principal investigator Thomas Parsons, professor of swine production medicine at the Penn School of Veterinary Medicine, hosted a symposium on Improving The Productivity, Efficiency, And Sustainability Of Chinese Pork Producers at the Center on May 22–24. He said the need for upgrading China’s pork industry is more important than ever before. 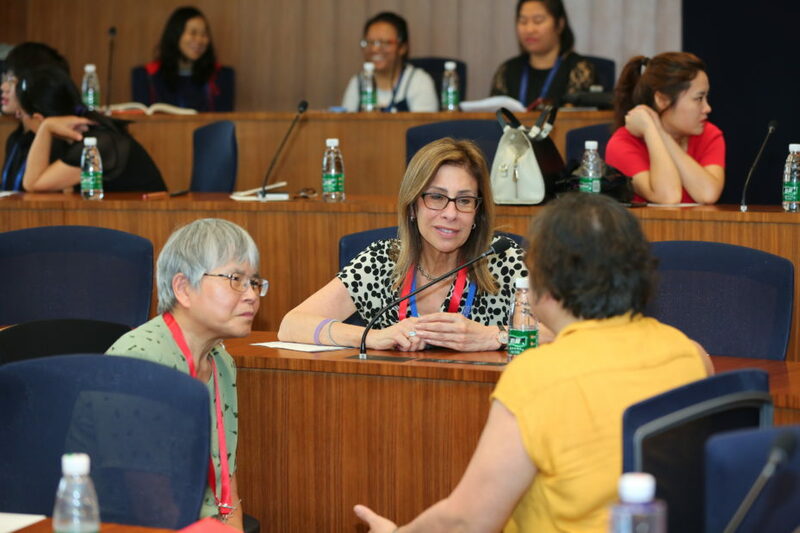 Working with a group of pork producers in China, PWCC and the Penn School of Veterinary Medicine developed a program to help improve productivity, introduce sustainable swine farming practices, including animal welfare, and inculcate business and leadership skills. 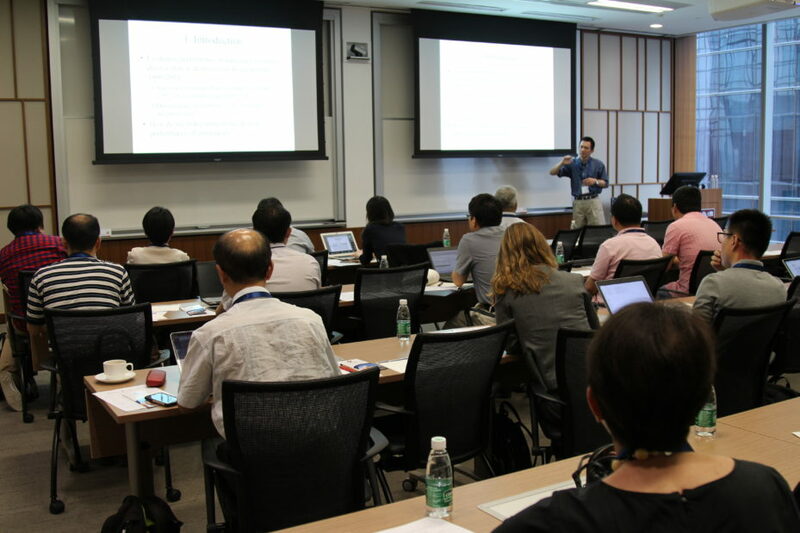 On June 25–26, Fang Hanming, Professor of Economics at Penn’s School of Arts and Sciences, held a one and half day seminar in the Center to exchange research and academic findings about Institutions and Economic Performance of China. Working with partners at Peking University, Shandong University, and World Bank, this project investigates the role of political factions and local accountability in explaining the variations in economic performance across counties in different provinces in China. The symposium featured 27 scholars from China and the States who presented their research and insights. On June 7–8, Guobin Yang, Associate Dean for Graduate Studies from the Annenberg School for Communications, led a group of students visiting Beijing and Hangzhou. About 60 people attended the two-day symposium, with logistical support from PWCC. With Chinese partners at Peking University and Zhejiang University, the PMSC Summer Institute utilizes innovative pedagogies, consisting of site visits, field research, academic conferences, guest lectures in Beijing and Hangzhou, as well as students’ hands-on research projects. Two students from the Global Internship Program visited Beijing and had a tour alongside seven students in Prof. Yang’s two-day workshop. Dr. Gary Hua Managing Director of PWCC, familiarized students with the Center’s facilities and had dinner with them to welcome them to the Center. Due Process In Antitrust Enforcement: China, Europe, And The U.S.
On June 30, Christopher Yoo, Penn Professor of Law, Communication, and Computer & Information Science, hosted this workshop with about 80 participants in attendance. In collaboration with University of International Business and Economics (UIBE), the University of Mannheim, and Tsinghua University, this project aims to demonstrate how providing procedural protections in administrative procedures can serve for the benefit of the government by eliminating false incentives in the decision makers. About 20 speakers presented at the workshop, including the scholars from UIBE, judges from Administrative Tribunal of Supreme People’s Court, U.S. Department of Justice, Antitrust Division, U.S. Federal Trade Commission, and some lawyers of companies etc. 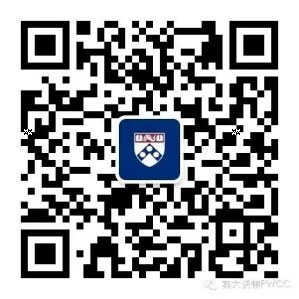 Visit the Penn China Research and Engagement Fund page for additional information about the fund and a list of all funded projects.